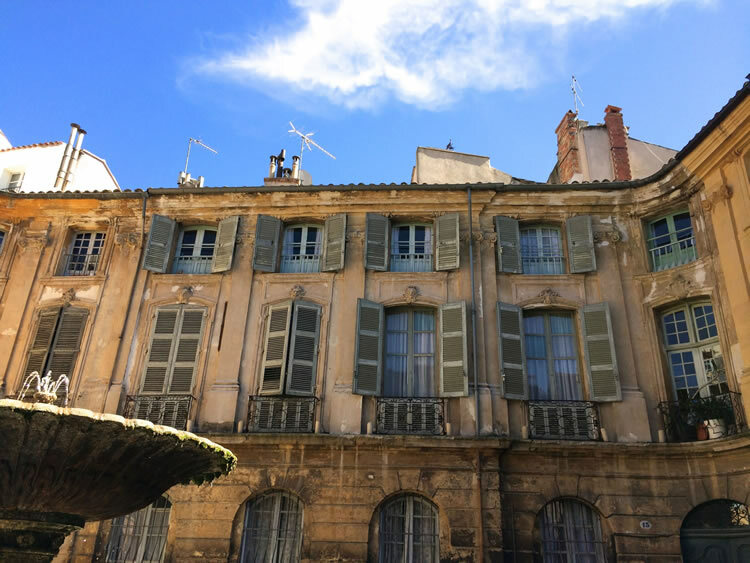 I lived in Aix-en-Provence for a year; a dream come true for my family and I. It never disappointed! 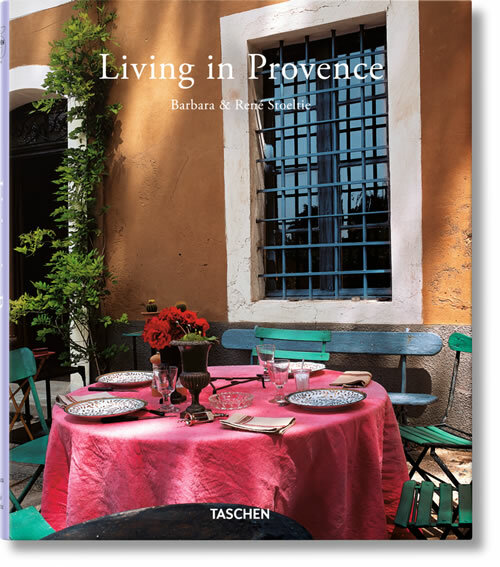 I’m passionate about France but Provence is where I know best and Aix encapsulates so much that I crave from the region in one truly magical town. 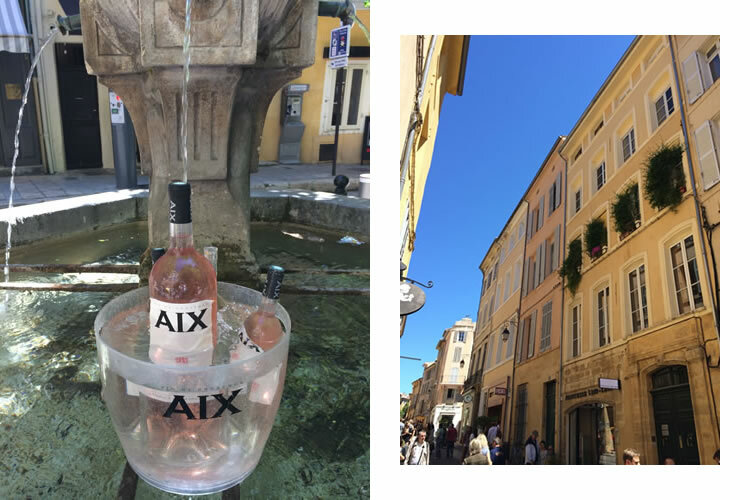 Complete with a rich history and culture, Aix nestles in the heart of Provence surrounded by rolling, vine-clad countryside. With the Luberon to the north and the calangues of Marseille to the south, you are spoilt for choice. Close to the town, the famous A8 takes you in a whisker to St-Tropez, Nice and beyond. 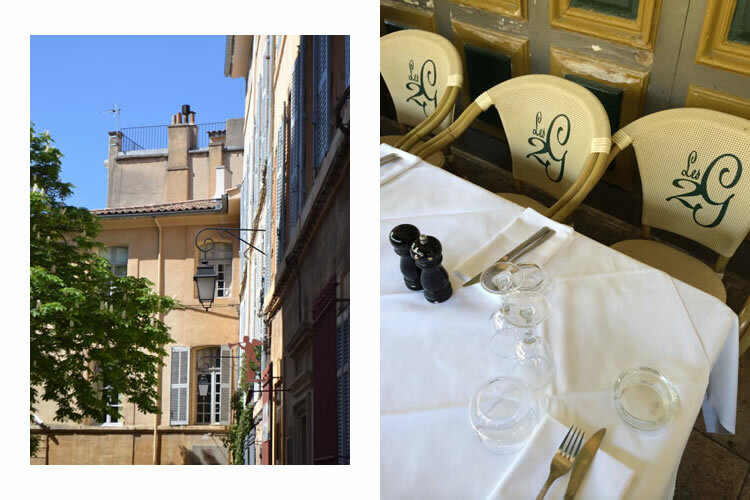 Every journey out of Aix is a destination trip to something enchanting! 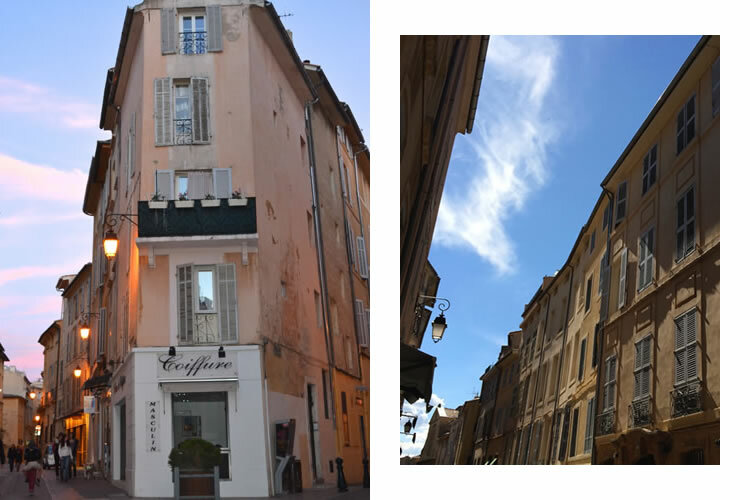 Back in the atmospheric town, narrow winding streets surprise at every turn with galleries, boutiques and cafes occupying the ground floors of ancient buildings once home to wealthy merchants. There is a rich cultural life here and the history of the region is fascinating. Despite it’s popularity – hundreds of thousands of tourists visit each year – it’s a surprisingly relaxed town, where fountains tinkle in little squares and tourists meander down traffic-free streets. Summer is busy but the light and warmth is beautiful. Winter is more peaceful where hot chocolate can be enjoyed on a covered terrace overlooking the twinkling lights of the Xmas markets on the Cours Mirabeau main boulevard. Cafe society reigns all year round. A terrace from April to November and a cosy covered cafe corner in winter months. This is an art that the French have elegantly perfected! 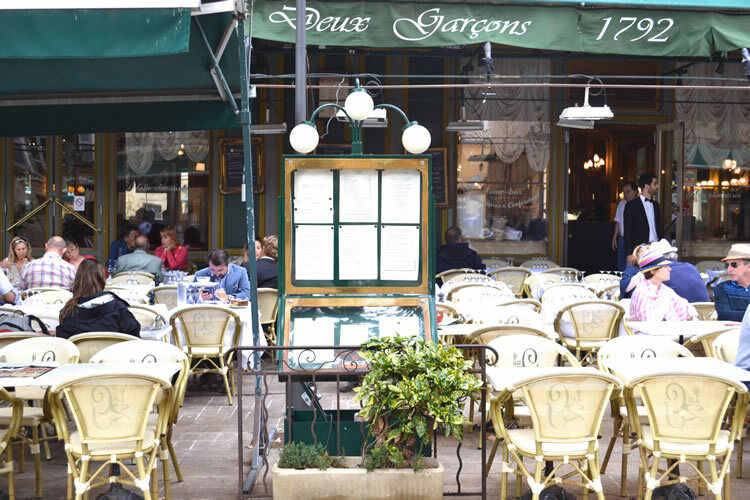 Cafe Grillon or Deux Garcons on the main boulevard of the Cours Mirabeau are a treat! My favourite; the little Brulerie on the Place Richelme square next to one of the best daily food markets in France is not to be missed. 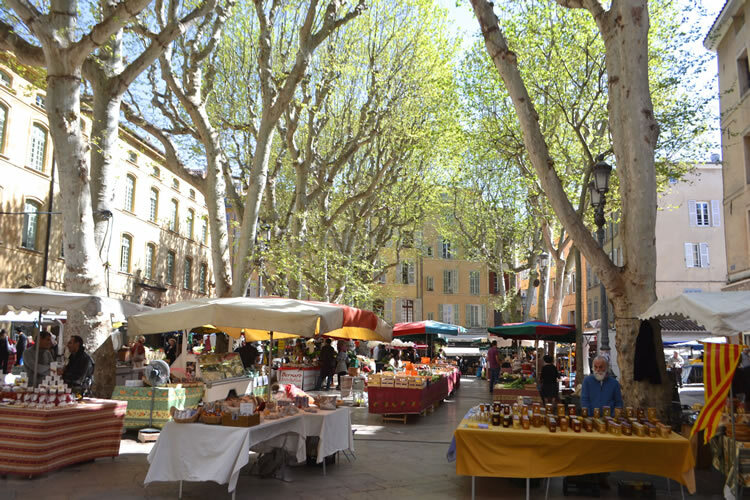 Markets are an essential part of life here in Aix and I never tired of the daily intoxicating smells of the Place Richelme food market and the heady perfumes of the flower market at the Place de l’hotel de Ville. Oh what a dreamy place it is! A trip here is easy. Seven hours by TGV from London and close to Marseille airport by plane. It’s a place that works all year round whether it is to focus on gourmet, culture, pampering or exercise activities… or simply to blend into the beauty of the town. 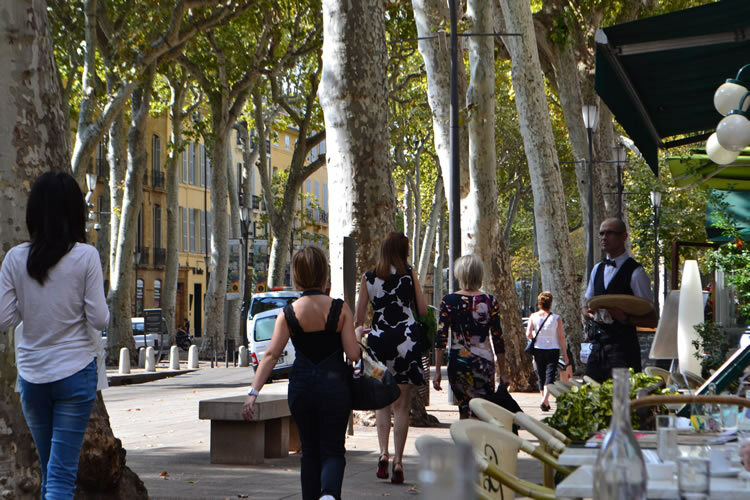 The mercurial charm of Aix en Provence never fails to stir your emotions and entice you back again and again…… I returned back to my home in England but I’ll never forget my special time living here and will return over and over to write more stories about Provence and other parts of France. 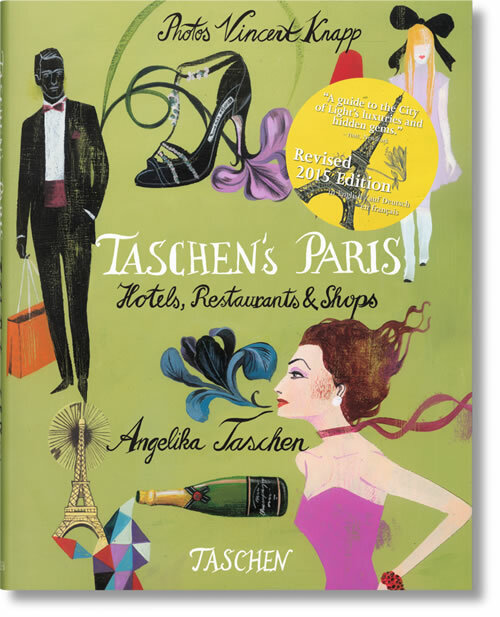 So for all of you who follow me please keep reading for my posts on France and for the soon to be launched Dreamy England! 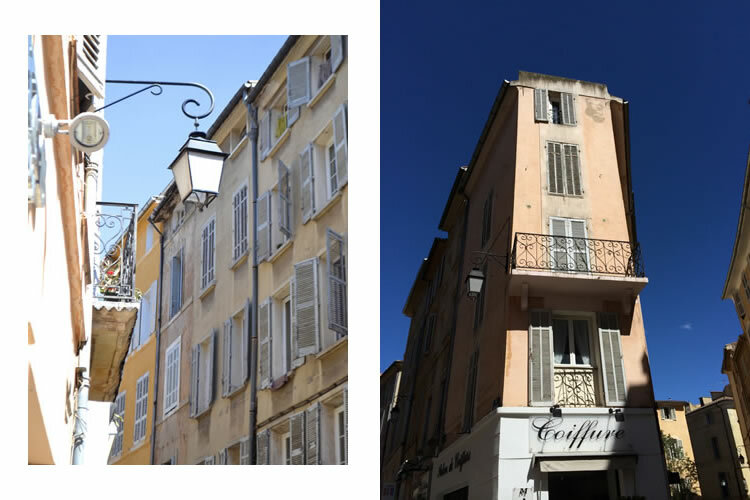 2 Responses to "Take a trip to the beautiful Aix en Provence"
I was searching pattiserries in Provence and your blog came up in the results. Your blog looks great! I’ll read more in the future. I’m spending a week in Cavaillon in March. My plan is to bicycle to towns in a 20 mile radius (it’s a plan, we’ll see). Any can’t miss sights you would recommend? Thank you for sharing! Hello David, thank you for following my blog. Sounds fantastic. Here are a few recommendations. Gordes, Fontaine de la Vaucluse and the tiny village of Oppede. Also I love St Remy and the stunning villages of Maussanne les Alpilles and Les Baux de Provence where there is an amazing gallery in an old quarry. So many options but these are all super. Good luck. Which country are you coming from?